Hello! 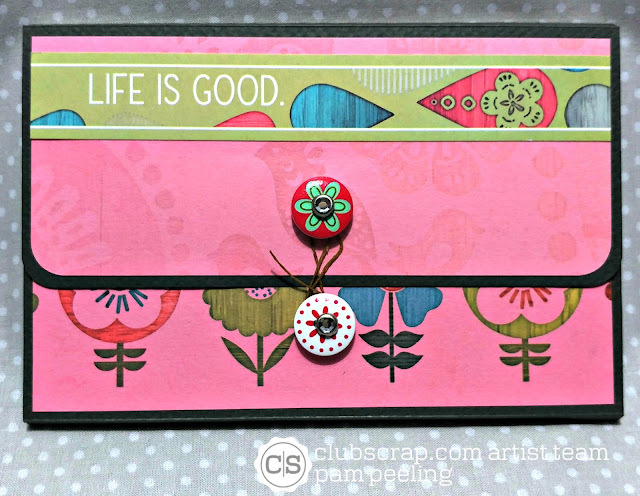 I'm so glad you're hopping along on the Club Scrap Scandinavia Blog Hop and Linky Party! If you're hopping in order you should have just come from Tricia's blog. The October Scandinavia collection has cute whimsical designs inspired by Northern Europe. I made a really cute little wallet mini-album. It measures 4 3/4"" x 7" all folded up and closed. Here's a great tutorial on this mini. I just love mini albums that open...and open again ...and open again. This one does not disappoint! 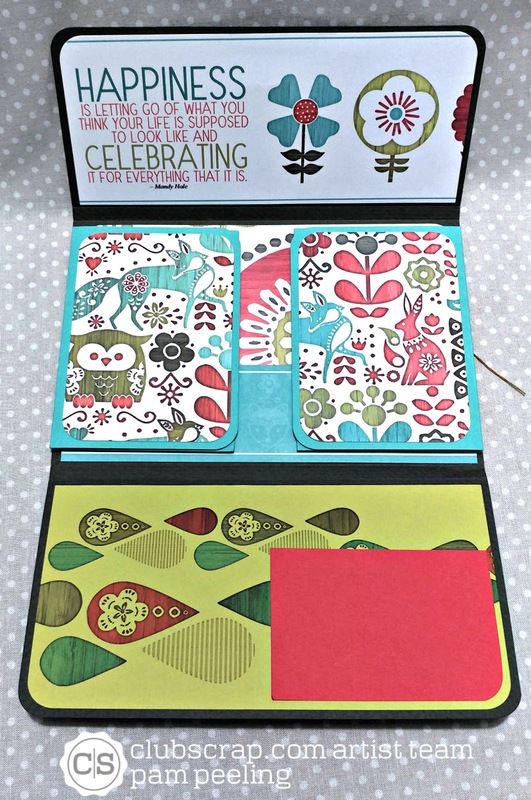 I love all the printed papers with this collection-so cute. It has 2 accordion folds on each side-perfect for my Sprocket printer 2" x 3" photos! 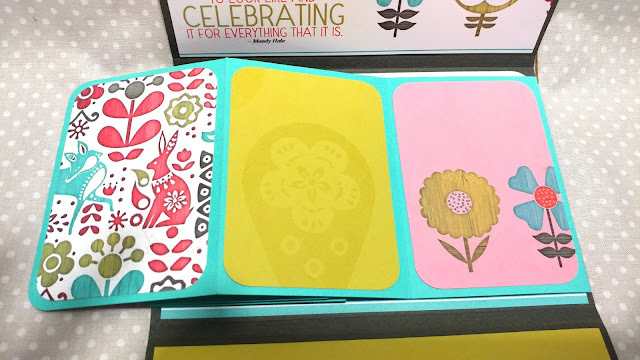 I made a pocket in the center and added a bunch of the embellishment cutapart journaling pieces. I decorated both sides of the accordion pages for maximum photo space! For the front closure I used a couple of buttons from a previous kit (I can't remember which one) and attached them with jeweled brads from my stash. 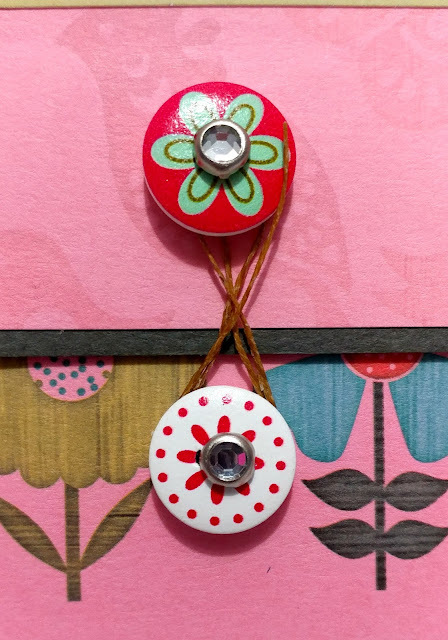 Then I tied on a piece of string long enough to wrap around each of the buttons a few times. Now hop on over to Hetty's blog to see what she made! 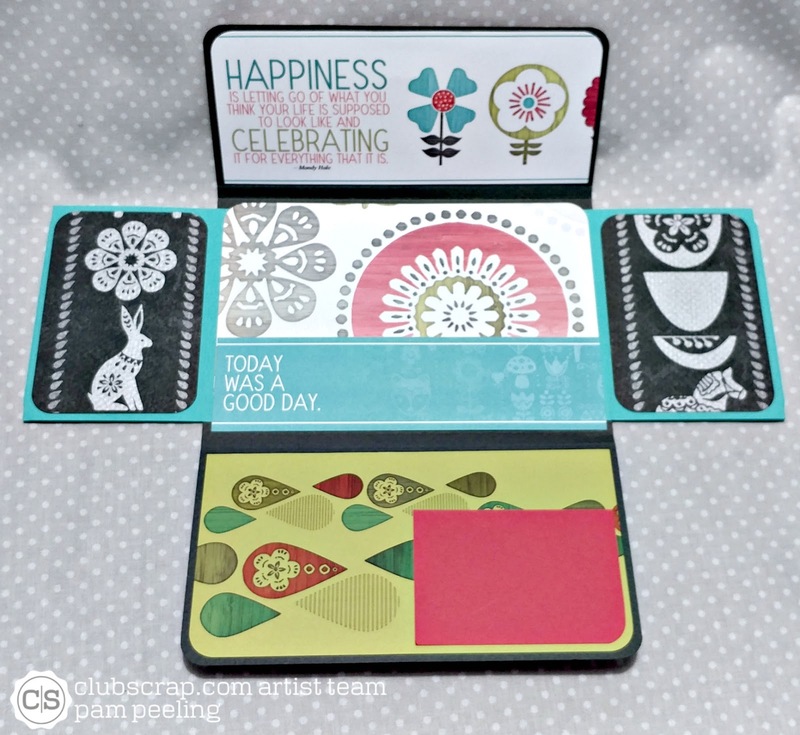 Beautiful designed mini album, Pam. Delightful book and definitely caseable! cute project, thanks for showing us how to do that! Aw, what a great mini album with tons of real estate. And those 50s Kitchen buttons are a great match! TFS! I love interactive cards and projects and this is just so COOL! You really showcased the card stock in this kit, love the combinations and your closure is super cute! I adore those buttons! So much awesome in such a little container! This would make such a great series of mini albums - easy to store with maximum impact inside each album. Love it! Fantastic project! Love how compact it can be. Hey, it's never too late to catch up on a blog post! This is a super cute little album!